Marine-Plus.Com ONCOURSE MARINE'Light Duty' Rudder Follow-Up Unit (New, Deck - Shelf Mount Type Custom Made) For the Boating Community! Can ALSO Be Used With Several Other Manufacturers Autopilots & Rudder Angle Indicators That Use This Type Of 3 Wire 5K Ohm Military Grade Sensor! 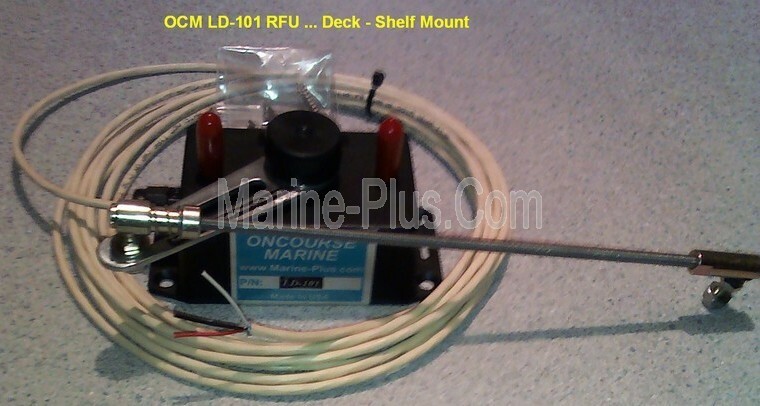 This Rudder Feedback Unit is Designed by Marineplus to Replace ALL Wagner RFU's (1K to 5K Ohm Sensors) used in Wagner Autopilot and Rudder Angle Indicator Systems and Mount Down to a Deck or on a Shelf ... 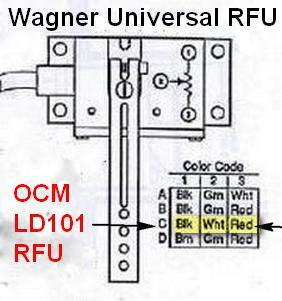 Except Wagner SE 1, S50 & S70 Models because They do Not Require a RFU. Great ECONOMICAL Replacement on Pleasure Boats & Small Commercial Fishing or Charter Vessels! Works in Various Cetrek, AutoNav, Jastram, Kobelt, Raytheon, Raymarine, Autohelm, Furuno & Si-Tec Applications to Name a Few ... 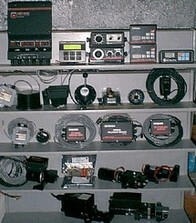 Please Check with Your Local Marine Electronics Dealer, Equipment Manufacturer and/or Documentation. 1) Available Wagner 12-Pin Plug Attached To Cable To Connect Directly to the Wagner Micropilot, MP320 and MP640 Autopilots For an Additional $50.00 ... Contact Us Via 'Admiral Log' Form BEFORE Purchase. 2) Bulkhead or Wall Type Mounting Available in SEA Chest of Treasures ... Please View Pictures Above For Details!